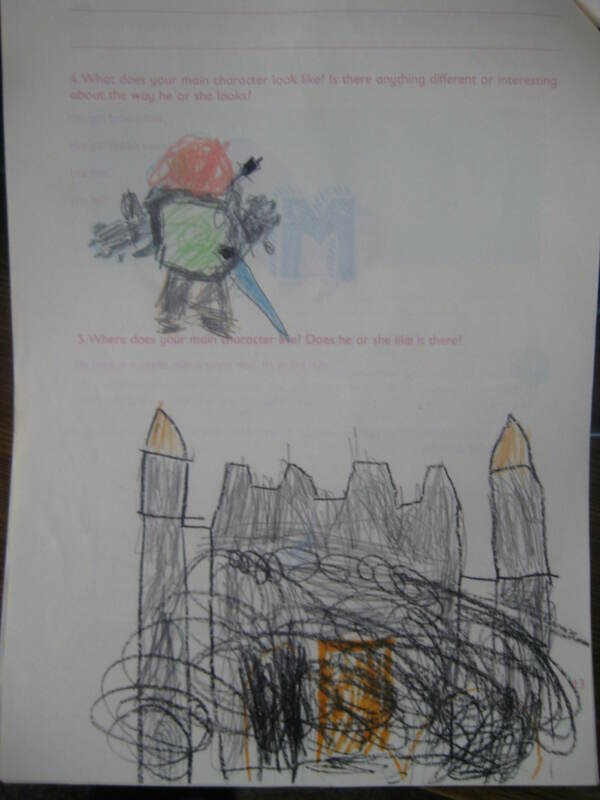 My son’s picture of his character, and the castle he lives in. We could start in October – using the YWP Workbooks that are downloadable from the site. These guide YWP participants in what makes a novel, and how to develop and plot out their own. We could start the month by reading a novel, noting the characters, the points of conflict, and resolve, then work on his own book, the planning for that. It could involve research of another topic, which in turn leads to more literacy and numeracy as he encounters new words. On the other hand, trying to keep my son focused for more than 20 mins is proving difficult, and I wonder how I would deal with that on a daily basis. Are there any other homeschoolers reading this, who are doing the YWP with your children? I’d love to hear from you! I haven’t tried homeschool but I sometimes wonder how it feels. DS is doing great. Are you going to put his story online anytime in the future? I would love to read it. That will be great if you do that.